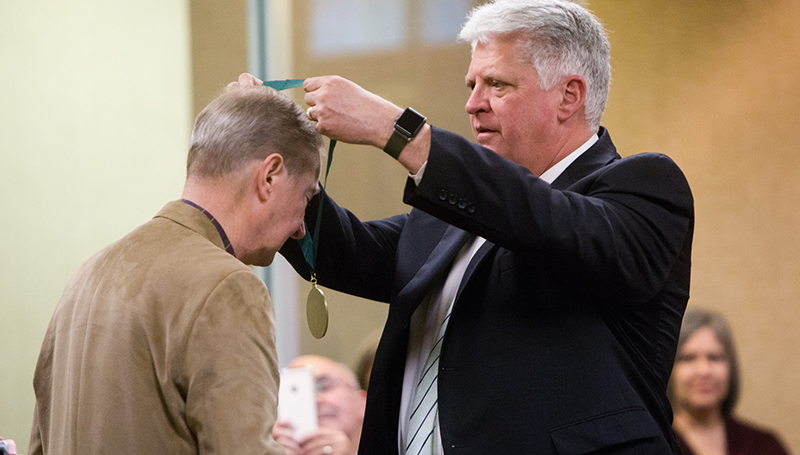 Two members of the Math Department – one current and another retired – have been approved for emeritus status in recognition of their service to Missouri Southern. During the Nov. 15 meeting, the Board of Governors gave unanimous approval to honor Dr. Laura Adkins, professor of mathematics, and Dr. Larry Martin, who retired in 2004. Faculty emeritus status is granted as a result of commendable service to the university, including significant contributions in areas such as teaching, job performance, and scholarly and creative activities. In order to be eligible, faculty must hold the rank of associate or full professor after a minimum of 15 years of service. It is typically not awarded until retirement or, in some cases, posthumously.